Navigate to Settings, on the left hand side click Classes. At the top click "Rename Label" button. 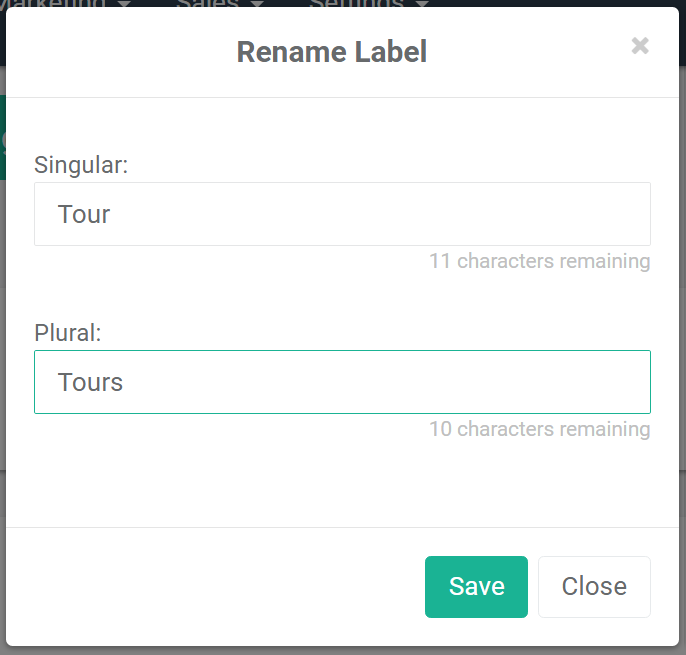 Enter new name for singular and plural (for this example we'll use Tour and Tours) and click "Save". You're done, Class and Classes labels are now switched to the Tour and Tours. Now when your clients schedule online, they will see Tours instead of Classes.